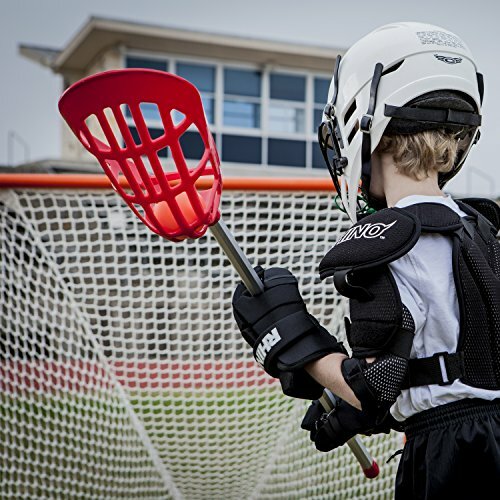 Champion Sports Soft Lacrosse Set is the affordable, premium-quality equipment option for your team. The molded plastic netting is sturdy, durable, and won’t rip or fray over time like traditional cord. 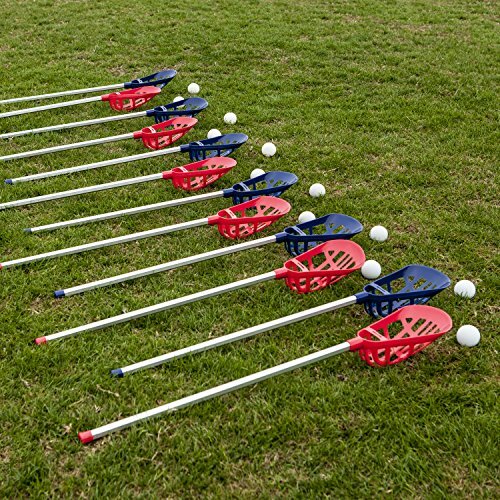 With twelve 12”x30” aluminum sticks with collapsible heads and six vinyl balls, you’ll have plenty to field a full 10-player lacrosse team or break into smaller squads. 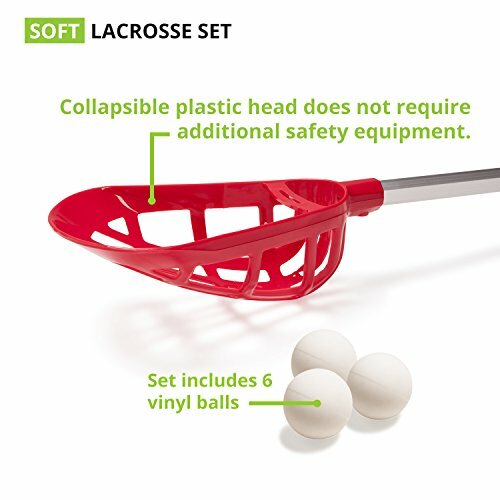 Parents, guardians, and teachers can be confident that their children are playing safely with this lacrosse set. 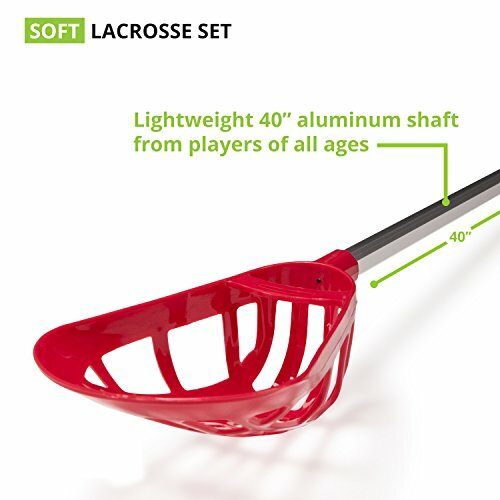 Each piece has been specifically designed with child safety as top priority so that the game, its techniques and skill sets may be taught worry-free. Makes a great birthday or holiday gift for children to have fun with and learn teamwork. 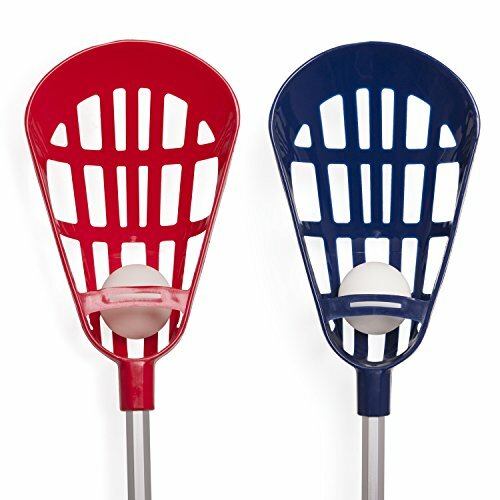 Easily identify your teammates with either a red or blue colored stick set. Rotate colors to keep drills, scrimmages, practices and games fresh, or assign a color to a specific team. With a bright, saturated finish, these sticks are set to provide years of enjoyment for lacrosse players of all ages while looking new. 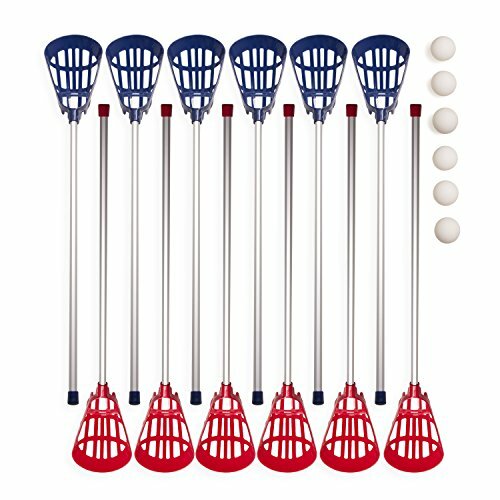 With a full set of sticks and balls, you’ll be able to add lacrosse to your sports program for long-lasting value. 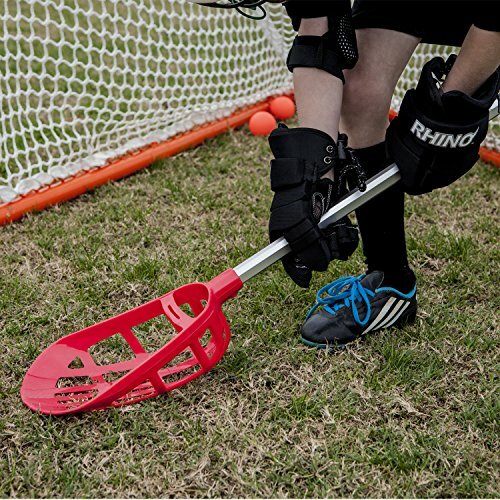 Keep multiple sets on-hand for camps, rec leagues, and school gyms. Elementary school students will love the color, while older kids will appreciate the set’s lightweight and easy-to-handle components. Whether inside away from a rainy day or outside in the sun, this lacrosse set is ready to go. 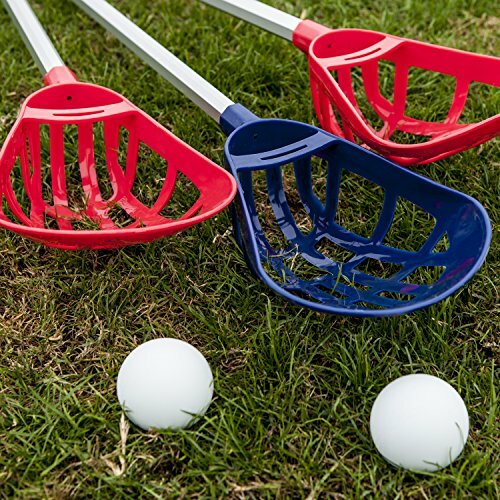 Break out the sticks and balls for a training session during gym class, or add these accessories to your school or home lacrosse equipment as you build out your skills and abilities to achieve the highest level of play.